Follow in the footsteps of Anne Boleyn from Hever Castle, to Richmond Palace and ultimately to the Tower of London. On the morning of 19 May 1536, a French blade stilled the heart of an English queen. 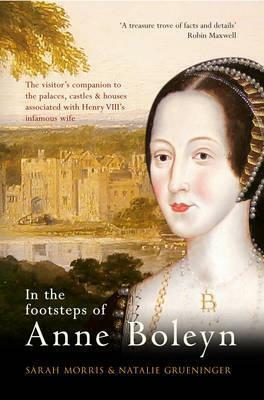 Her name was Anne Boleyn and her story has made an indelible mark on history. This book will take you through stately homes, castles, chapels and artefacts with a connection to Anne. Explore Hever Castle, Anne's childhood home where two breathtaking Books of Hours both signed and inscribed by Anne Boleyn herself are housed; visit Thornbury Castle where Henry VIII and Anne stayed during their 1535 royal progress and see the octagonal bedchamber where they slept; stand in the very room in Windsor Castle where Anne was made Marquis of Pembroke. Each location is covered by an accessible and informative narrative, which unearths the untold stories and documents the artefacts. Accompanied by an extensive range of images, including photographs, floor plans and sketches, this book brings the sixteenth century vividly to life - and takes you on your own personal and compelling journey in the footsteps of Anne Boleyn.